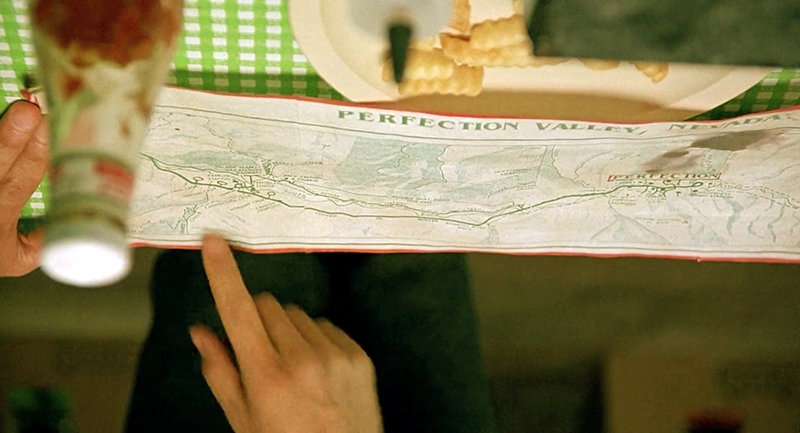 Tremors: Map of Perfection Found! 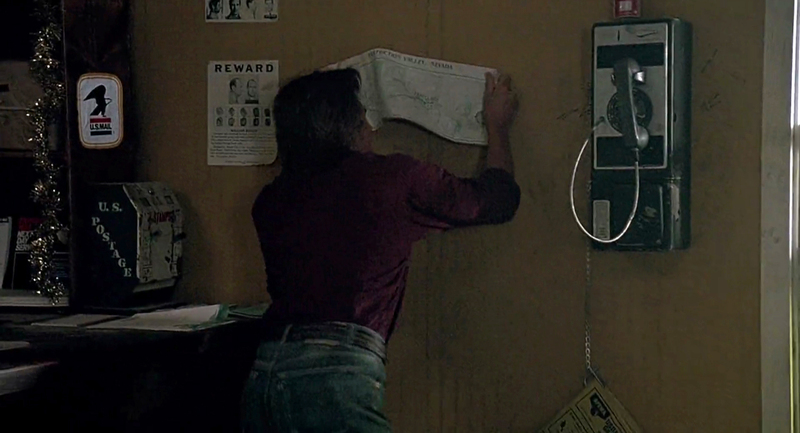 You remember the map Kevin Bacon rips off the wall of Chang’s store? I thought this might have been based on a real map, just retouched through some old-school cut & paste. It seems awfully busy to have been drawn from scratch for a couple shots less than a second long. I Google searched a couple of the unusual place names (Zumwalt Meadow) and managed to confirm that this is a real location. The location is the Cedar Grove area of Kings Canyon National Park, in California. 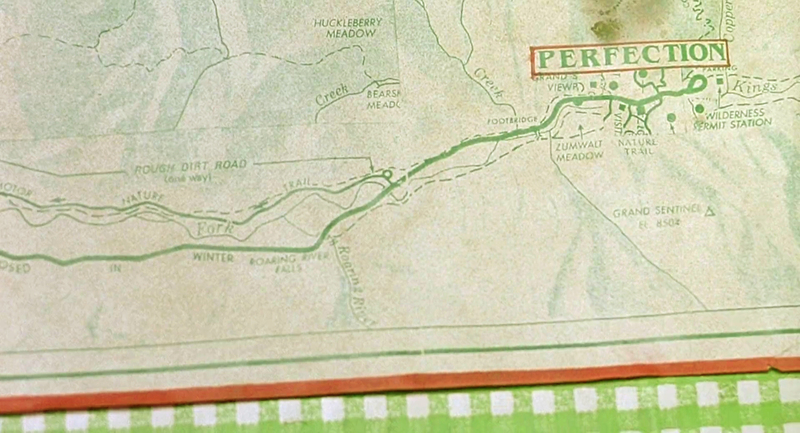 But what was the exact version of the map used for Perfection Valley? Author Staff WriterPosted on June 2, 2016 June 7, 2016 Categories Design, Physical ObjectTags Cedar Grove, Kings Canyon National Park, Map, Paper, Perfection, Tremors1 Comment on Tremors: Map of Perfection Found!